When we think about the concept of mass extinctions, we tend to think of something pretty dramatic. For instance, we now know that the dinosaurs were wiped out by a six-mile-wide asteroid that hit the Earth at thousands of miles per hour. Its impact, according to the new Smithsonian Channel documentary Mass Extinction: Life at the Brink (airing Sunday night), had the force of “a hundred million nuclear bombs,” unleashing tsunamis hundreds of feet in height that hurtled across the ocean "at the speed of a jet." So yeah, that's pretty dramatic. And yet many scientists think that today we may be on the verge of another creeping mass extinction -- the sixth the planet has seen -- even as most people barely notice it happening. Consider just one species highlighted by Mass Extinction: the African lion, or Panthera leo. There are some 32,000 to 35,000 lions left, according to a recent scientific estimate. But as of 1950, their numbers were vastly higher; one group of experts puts them at 500,000, and Mass Extinction uses the number 400,000. Either way, that's a 90 percent or more decline. The lion numbers, stark as they are, are pretty solid, says Anthony Barnosky, a biologist at the University of California-Berkeley who is featured in the film, and who authored the book Dodging Extinction: Power, Food, Money and the Future of Life on Earth. 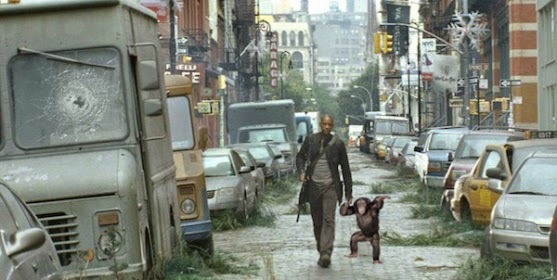 On the Verge of Mass Extinction? "We know that from historic records of where lions used to be, and where they clearly are not any more. So it’s a combination of using the historical data about what we know distributions were over the past couple of centuries, combined with some very detailed studies, censuses of how many lions are out there in known populations over the past half century." The chief cause of lion declines? "Indiscriminate killing in defense of life and livestock, coupled with prey base depletion," says the International Union for Conservation of Nature, which has the African lion on its "red list" of threatened species. African lions aren't unique. A similar story, according to Barnosky, could be told about tigers, rhinos, and any number of other species. "We have killed about 50 percent of the world’s vertebrate wildlife in just the past 40 years," he says. "We've killed half the numbers of individuals. We've fished 90 percent of the fish out of the seas. So these are big things we’re doing to the world." Mass Extinction examines both at the asteroid strike that killed off the dinosaurs 66 million years ago, and also the "Great Dying" at the end of the Permian period 252 million years ago, when some 90 percent of Earth's species vanished in the wake of massive volcanic eruptions in Siberia. 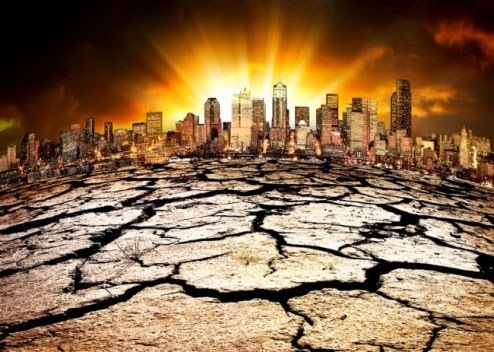 In each of these cases, the global extinction was caused not only by an immediate dramatic event, but by its subsequent effect on the planet's oceans and atmospheres. 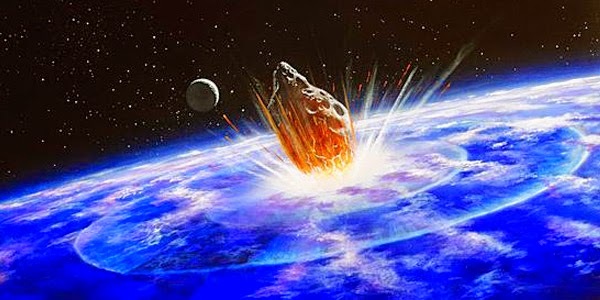 The asteroid impact led to so much smoke in the atmosphere that the sun's radiation was cut down dramatically, leading to great climatic changes. And the dramatic vulcanism that ended the Permian triggered global warming and ocean acidification by putting lots of carbon dioxide in the atmosphere. In other words, these past extinctions have been tied to dramatic changes in the global climate. That is not the principal cause of the current extinction -- yet. So far, we've been threatening species by taking their habitat away for farming and for our growing populations. But global warming may now act on top of that. "It's like adding a match to gasoline," says Barnosky. Is Ratzinger an Arian? by Prof. Dr. Wigland Siebel. 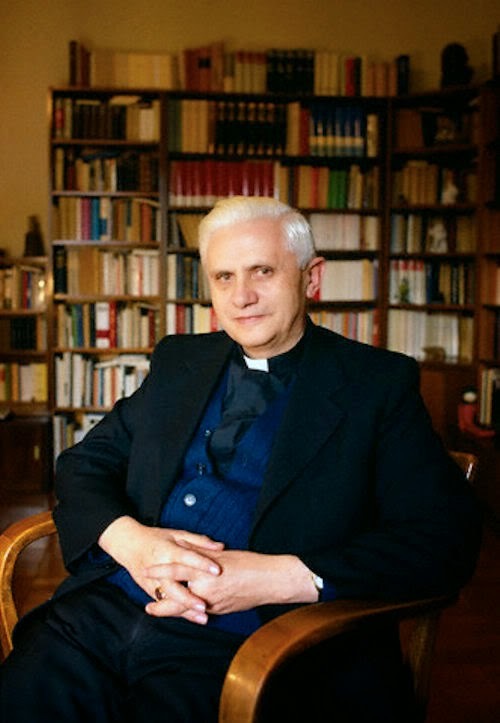 Ratzinger's Christological formulation is essentially that of Wojtyła and Rahner. When asked to comment on Rahner, the eminent Thomist, Fr. Cornelio Fabro, replied, "He is an Arian." Prof. Siebel criticizes Ratzinger to be an Arian, because he in his "Introduction to Christianity" (1971), which was in fact "Introduction to apostasy" hot, claiming that Christ was an exceptional person, but only a People have been adopted by God in the moment of death on the cross as the son ("adopted"). The article of Prof. Siebel appeared in SAKA details 1990, December, S.233-239; 1991, January, pp 9-12. It is known that Cardinal Ratzinger since November 1981 prefect of the Vatican's Congregation for the Doctrine of the Faith. It is responsible for the task of watching over the integrity and integrity of the faith. Does he have to the conditions, that is, he himself has preserved the Catholic and Apostolic faith? This for many almost unbelievable question, we must put them all? It is set to be! We had to not only make but also negative answer necessity already several times. In the present article, which is continued in January 1991, we need to ask again, this time with respect to the core of Christianity, Christology. We ask especially those readers who our point of view (still) critical of studying the present observations by Professor Siebel unbiased. Today it is too much, as that one is likely to lightly dispense with such an argument. 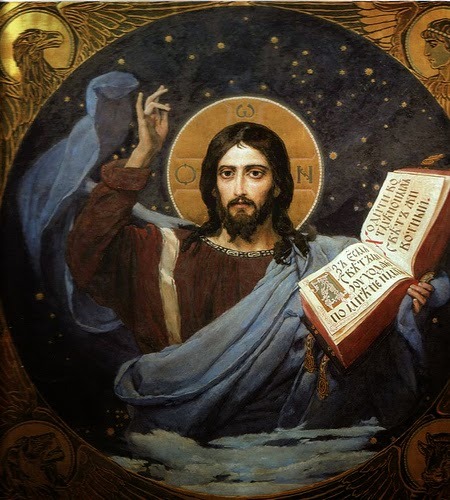 As of this year, has been discussed in various articles SAKA INFORMATION, it is in the Roman ecumenical church a greater number of bishops who vertreten.¹ in their teaching Arian positions do not truly believe the Christian doctrine that Jesus Christ is true God, eternity is. 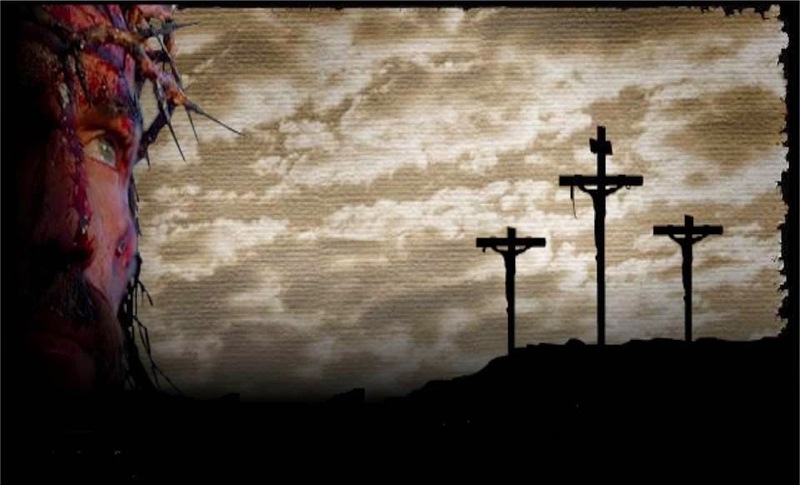 For them, Jesus is only a great man who has proven through his life and death, that he was close to God, thus the deity expressed and was rewarded with the deity. 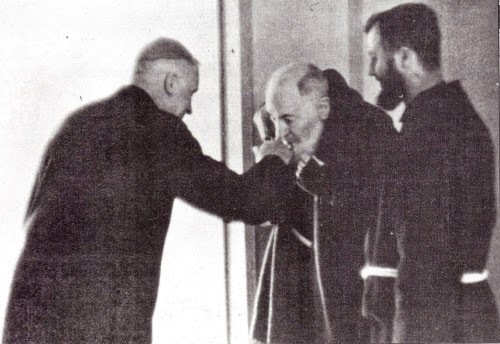 As examples, the bishops Walter Kasper, Karl Lehmann and Joseph Stimpfle were treated. They all retain the language of the Christian faith statements, but inferior to this new sense of deeply contrary to Christian teaching, so pick up the foundation of the Christian faith examined. * Among other things, in the March number 1986: Athanasius Kroger, the Trinity Ratzinger and resurrection Ratzinger. December 1987: Wolfgang Beranek, The "fertility" of separation - Ratzinger's ecumenical ideas. Year 1989: Paul Hacker, Joseph Ratzinger and the destruction of the dogma, pp 188-190, S. 208f, pp 235-238..
represented, could ever be bishops. Had not you in their writings may find with ease, that they deny the true divinity of our Creator and Savior, Jesus Christ? For such a test, the Roman Congregation would have had jurisdiction, the prefect Joseph Cardinal Ratzinger (born 1927). At least the appointment Kaspers Bishop of Rottenburg-Stuttgart is the responsibility of Ratzinger. Ratzinger has failed here? Or is about Ratzinger himself near the modern Arianism, he is even self be regarded as Arians? The question was raised by the recent results of investigations with the utmost urgency. And not least because Ratzinger is one of the most influential representatives of the Roman ecumenical church. After 25 years of teaching in Freising, Bonn, Münster, Tübingen and Regensburg, he in 1977 Archbishop of Munich and Freising, 1981 for the Prefect of the Congregation of the Faith under John Paul II. 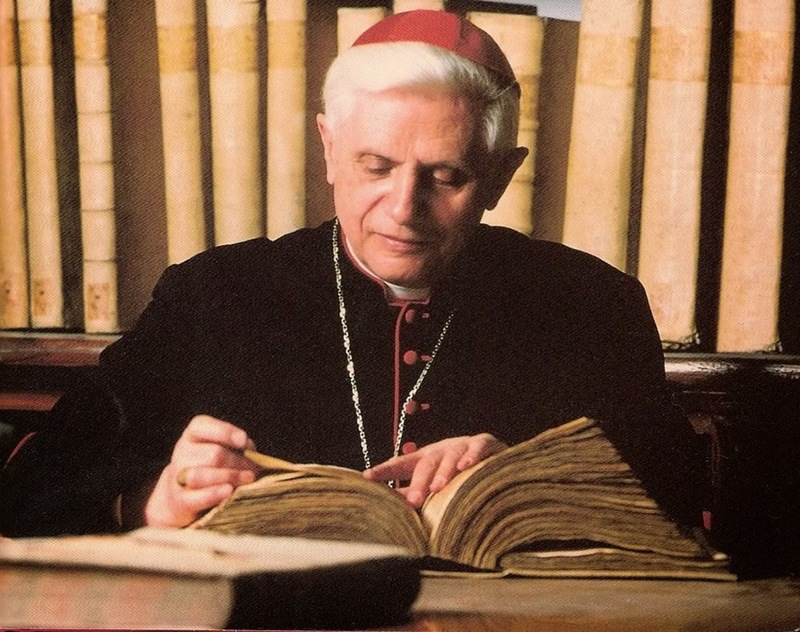 The question of the relationship Ratzinger as Arianism is primarily based on the book "Introduction be, but then also answered in Christianity "by means of further writings and a statement of the CDF. Perhaps the most common objection leveled against Father Gruner by his detractors is this: Father Gruner is "disobedient." Father Gruner should "obey" his bishop and "obey" the Holy Father—or words to that effect. The simple answer to this objection is that Father Gruner has never disobeyed any legitimate command from any legitimate authority in the Church. In fact, his priestly life has been a life precisely of obedience—obedience to the Faith and obedience to his vows as a priest. This objection to Father Gruner and his apostolate is founded on confusion about the nature of obedience. What is obedience? This is what one must understand before accusing anyone, including Father Gruner, of being "disobedient." Despite what some people in the Church today suppose, obedience is not a theological virtue. Unlike faith, hope and charity, obedience does not have God as its object, but rather the command of one's human superior. Accordingly, it is nonsense to say, as some do, that one is not a Catholic if one does not "obey." One may indeed sin through disobedience to a human superior, but in committing that sin one remains a Catholic, as do Catholics who commit other sins which do not involve the loss of Faith. The matter involved in the precise sin of disobedience is failing to give a human superior what is due to him in justice. This is to be distinguished from sinning against faith (by heresy), sinning against hope (despairing of one's own salvation) or sinning against charity (by unkindness toward another). So, three things must be present in order to establish a duty of obedience to one's human superior: (1) a lawful command, (2) by a lawful superior, (3) acting within the proper sphere of his authority. As Saint Thomas puts it most succinctly: "a subject is not bound to obey his superior if the latter command him to do something wherein he is not subject to him." To these three criteria must be added a fourth, from the basic moral law: the subject has a duty to obey the command of his superior unless he has a legitimate excuse from obedience, such as illness, impossibility or truly grave inconvenience. Regarding the first criterion — that the command be lawful — the Church has always taught that one may not obey any command which is contrary to the law of God. As Saint Thomas says: "if the emperor commands one thing and God another, you must disregard the former and obey God." Likewise, Saint Peter teaches that "God must be obeyed rather than men." All of this is really a matter of simple common sense. Let us consider some examples. Example #1: A Bishop orders one of his priests to offer Mass every day — but in the cathedral of another Bishop. The command to offer Mass is lawful, and is given by a lawful superior, but it exceeds the Bishop's authority because he has no right to usurp another Bishop's cathedral. Example #2: The Bishop of Diocese A orders a priest of Diocese B to say Mass every day in the cathedral of Diocese A. 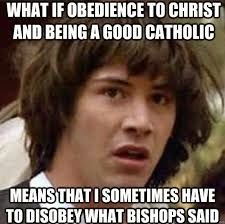 Here we have a lawful command — to say Mass every day — but the Bishop of Diocese A is not the lawful superior of the priest of Diocese B and, therefore, is acting outside the sphere of his authority. Example #3: The Bishop of Diocese A orders a priest of Diocese B to use apple juice instead of wine for Mass. Here all of the first three criteria are violated: the command is unlawful (being contrary to the ordinance of God Himself), since no one has authority to substitute apple juice for the wine Our Lord Himself prescribed for the Sacrament of Holy Communion; the Bishop is not the lawful superior of the priest; and the Bishop is acting outside the sphere of his diocese. Example #5: A Bishop says to one of his priests, "It might be a good idea if you were to resign your post as pastor of a parish and be a chaplain at the cemetery." The priest does not go to the cemetery because, in this case, there is simply no command which requires obedience in the first place. In none of these five hypothetical cases could the priest justly be accused of "disobedience." Either the superior exceeded the scope of his authority, or the superior was not a lawful superior, or the command itself was unlawful, or the priest had a valid excuse, or there was simply no command given. There can be different combinations of these factors in each case presenting a question of due obedience. 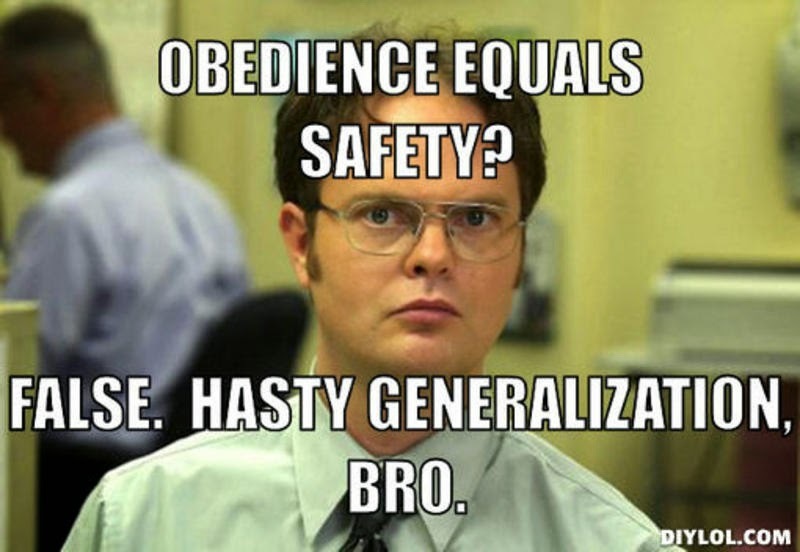 So, the question of "obedience" is not so simple as: a superior has spoken, therefore one must obey. Of course, in the common-sense experience of our own lives we know that obedience is never that simple. Yet in the case of Father Gruner, his detractors demand blind, unquestioning obedience without regard to facts or circumstances. Now, let us apply these considerations to Father Gruner's particular case. According to his detractors, Father Gruner has "disobeyed" two alleged commands: First, the alleged command that he "return" to the Diocese of Avellino and abandon his apostolate after 23 years. Second, the alleged command of "the Holy Father" that no one must seek any longer the Consecration of Russia, since allegedly this has already been accomplished. Concerning the first alleged command — that Father Gruner "return" to Avellino — an examination of the facts shows that no duty to obey this alleged command can possibly exist. After due discernment, I am convinced that I am acting correctly though I was partly misled by influential people. I strongly feel that the good work he [Father Gruner] is doing in spreading devotion to the Immaculate Heart of Mary should not be hampered for the present, especially through undue canonical or juridical pressures. May Jesus Christ be praised! The Archbishop is here referring to the completely illicit and unprecedented efforts of certain elements of the Vatican Secretariat of State to use the Congregation for the Clergy to block Father Gruner's incardination by a whole series of benevolent bishops who wished to foster his apostolic work. Rightly resisting this interference in his prerogatives, the Archbishop proceeded to incardinate Father Gruner, so that the Bishop of Avellino no longer has jurisdiction over Father Gruner. The offense of having an "irregular condition" is, therefore, a pure invention. It makes no more sense than citing a motorist for "irregular driving" when there is no violation of any specific provision of the motor vehicle code. In short, there is simply no basis for punishing Father Gruner by ordering him to "return" to Avellino — even if the Bishop of Avellino had jurisdiction over Father Gruner, which he does not. Third, even if the Bishop of Avellino had jurisdiction, and even if there were such a thing as an "irregular condition" warranting Father Gruner's "return" to Avellino, the command to "return" is patently illegal. Father Gruner cannot simply take up permanent residence in Italy. He is a Canadian citizen who would be arrested and deported at the Italian border if he entered the country in order to reside there without a proper permanent resident visa. The only way he could gain entry into Italy without a proper visa is to lie and say he was entering only as a tourist for a brief visit. Over the past 23 years the Bishop of Avellino has taken no steps whatsoever to obtain a visa for Father Gruner, which would require (among other things) the Bishop's written guarantee of financial support, medical coverage and old age pension for Father Gruner. The Bishop of Avellino has provided not one penny of support to Father Gruner over the past 23 years and shows no signs of guaranteeing such support now or doing anything else to obtain a visa for Father Gruner's "return" to Avellino. Why? Because the Bishop clearly has no interest in Father Gruner's "return," which is being engineered entirely by the Vatican Secretariat of State through its instrument, the Congregation for the Clergy. It is impossible to cover the details of this scheme in this document. Please consult the 77-page apologia for Father Gruner, which contains citations to the documents and other evidence proving the activities of the Vatican Secretariat of State in this regard. Call the Fatima Center for your free copy. The Church binds herself to observe applicable civil law, including Italian law on immigration. (See Canon 22, 1983 Code of Canon Law.) Thus, the order to "return" to Avellino violates both civil and Church law. The order is legally impossible to obey. Fourth, the Church in her mercy recognizes that "no one can be punished for the commission of an external violation of a law or precept [i.e., particular command] unless it is gravely imputable by reason of malice or culpability." (Can. 1321, §1) Since the precept that Father "return" to Avellino is based upon a concocted offense which does not exist in the law of the Church — the so-called "irregular condition" — and since the precept is manifestly void because it violates Italian law and thus Church law (per Canon 22), there can be no valid punishment of Father Gruner. Neither malice nor culpability is "gravely imputable" to him under Canon 1321 since the command to "return" to Avellino is based on nothing, and is in any event legally impossible to obey. Fifth, even if there were some legitimate basis for ordering Father Gruner to return to Avellino, and even if this command were not legally impossible to obey, Father Gruner would nonetheless be excused from obedience. While Father Gruner's persecutors in the Vatican Secretariat of State may show no mercy, the law of Holy Mother Church does. Thus, the Code of Canon Law provides that no one may be punished for violating a precept if "necessity or grave inconvenience" prevents compliance. (Can. 1323, §2) A commonplace example from your own experience as laymen is that you are excused from the law of the Church requiring attendance at Mass on Sunday if illness or some other reason makes it necessary not to go to Mass, or at least gravely inconvenient to do so. Sixth, standing above all these considerations, as compelling as they are, is the most important of all: the salvation of souls, which is the highest law of the Church. Father Gruner cannot in conscience "obey" a dishonestly contrived, patently illegal and shockingly unjust order which would not only work his personal ruination but would threaten the existence of a legitimate apostolate that preaches the Gospel, promotes Catholic devotions and sacramental helps, has benefitted countless thousands of souls, and defends the integral Message of Fatima, which, as Our Lady Herself said, was given to men as an aid to the salvation of souls in our time. Moreover, this is not just Father Gruner's judgment but the judgment of no fewer than three benevolent bishops who wished to incardinate him with permission to continue his work. These include the Archbishop of Hyderabad, who rightly declares that "undue canonical or juridical pressures" by the Vatican bureaucracy should not be allowed to interfere with a valid, important and totally permissible apostolic work. The command is not lawful. It violates civil law, Church law and the highest law of all: the salvation of souls. In essence, there is no command at all because the command is void. Moreover, the pretext for the command is a concocted offense — "irregular condition" — which does not even exist in Church law. The alleged offense has no more validity than the aforementioned citation for "irregular driving" when no motor vehicle law has been violated. The command was not given by Father Gruner's lawful superior, who is the Archbishop of Hyderabad — not the Bishop of Avellino. The command is thus outside the sphere of the Bishop of Avellino's authority. Even if there were a valid command, Father Guner would be excused from obedience because the command is morally and legally impossible to obey, or at the very least "gravely inconvenient" as envisioned in can. 1323. In sum, Father Gruner cannot be punished for "disobeying" a void order, issued as punishment for an offense which does not exist; nor for "failing" to do what is illegal, impossible, or even gravely inconvenient. The baseless precept to "return" to Avellino is all of these. Under the law of the Church itself, therefore, Father Gruner has no duty to obey the command to "return" to Avellino, and any penalty imposed for "disobedience" would be of no effect before God and the Church. Rather obey God than man! What is more, when a superior commands something that is contrary to justice and the common good of the Church, Catholic theology teaches that a subject may licitly resist the unjust and harmful command. Here too we are dealing with a matter of common sense: a ruler, even in the Church, may be opposed when he abuses his authority and seeks to cause harm. As just one of many examples of this teaching, the eminent theologian Francisco de Suarez, praised by Saint Pius V as a "pious doctor" of the Church, rightly observed that even if the Pope "tries to do something manifestly opposed to justice and to the common good, it would be licit to resist him." All the more so a local bishop, or a member of a Vatican congregation, who is abusing his authority. Granted, the question of resistance to a superior's command is a matter of conscience and personal judgment in which one can err. But the moral principle of this licit resistance is undeniable, and the evidence is clear that Father Gruner has good grounds for resistance and has not erred in following his conscience here. At any rate, this is between him and God, not him and his self-appointed judges in the Catholic press. Now we turn to the second of the alleged commands that Father Gruner is accused of "disobeying" — the alleged command of "the Holy Father" that one must no longer ask for the Consecration of Russia to the Immaculate Heart of Mary because allegedly this has already been done. Why would the Pope say that the Virgin was still awaiting the consecration of Russia if the consecration had just been done? We now have important evidence which confirms what Father Gruner and many others have long suspected: the Pope spoke as he did because his advisors have counseled him not to consecrate Russia by name. A recent article in Inside the Vatican magazine reveals that a Cardinal described as "one of the Pope's closest advisors" advised His Holiness not to make mention of Russia in any consecration ceremony because this would offend the Russian Orthodox.3 It seems clear, then, that in 1984 the Pope was trying to signal to the world that the Consecration had been deferred, based upon this (extremely bad) advice to him. What else could the Holy Father's spontaneous comments possibly mean? Therefore, "the Holy Father" has commanded absolutely nothing concerning whether the Consecration has been done or whether the faithful, including Father Gruner, may continue to request it. This charge of "disobedience" against Father Gruner is specious and dishonest. We ought to consider here a related accusation against Father Gruner: that in continuing to petition for the Consecration of Russia he is being "disrespectful" and "disloyal" to the Holy Father, because the Holy Father (so the accusers say) believes that he has done the consecration. A simple analogy suffices to demonstrate the folly of those who make this accusation. Let us suppose there is a large ocean liner, which we shall call the Titanic. A lowly deckhand realizes that the captain of the Titanic has been given inaccurate information by his ship's officers about the location of icebergs in the sea lane the Titanic is traversing. In fact, the deckhand discovers that the most recent dispatch on the location of icebergs has been tossed in the garbage and forgotten. The deckhand tries to call the captain's attention to the discarded dispatch and to warn him of the danger of the icebergs; the ship's officers upbraid the deckhand for his insolence. They accuse him of being disrespectful and disloyal to the captain and undermining their own authority and prestige by questioning the safety of the Titanic's course. The ship's officers refuse to convey the deckhand's urgent pleas to the captain and threaten to throw the deckhand in the brig if he persists in his attempts to speak to the captain. Soon the Titanic hits an iceberg and sinks, and the lives of many passengers are lost. Which member of the crew was truly loyal to the captain? Obviously, the lowly deckhand who tried to get the correct information into the captain's hands and warn him of the danger if the information were disregarded. As for the ship's officers, their professed loyalty to the captain was a false loyalty, and in fact a form of pride. If Father Gruner and the millions of Catholics who share his convictions are right, then true loyalty and respect for the Holy Father require that they continue to petition him for the consecration of Russia, by name, to the Immaculate Heart of Mary. 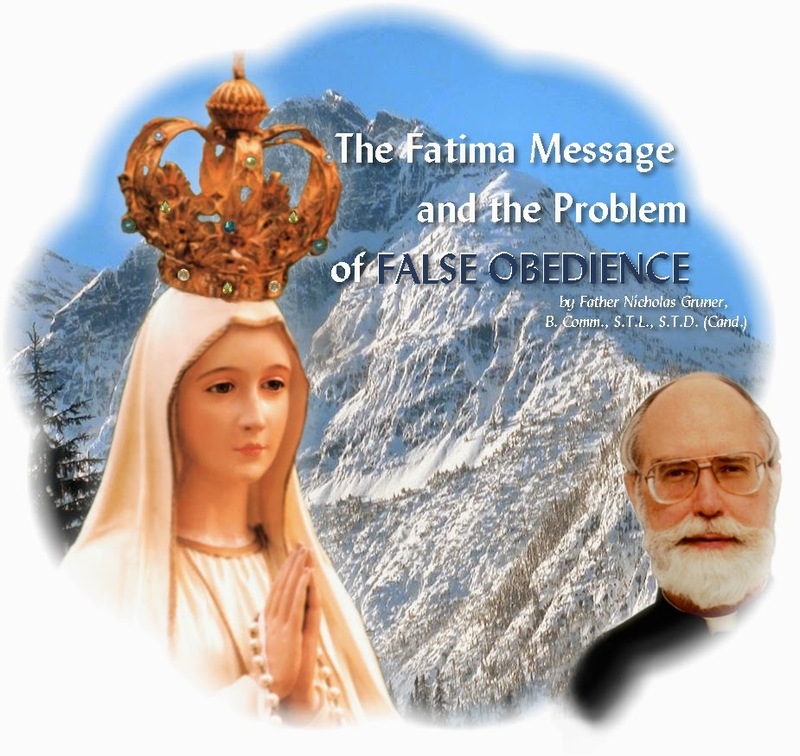 For if the Virgin spoke the truth — and She cannot lie to us — then the failure to heed Her message at Fatima poses a danger infinitely greater than the iceberg which sank the Titanic. Nor can we be expected to ignore that danger out of a false human respect for the prestige and authority of Vatican advisors who tell the Pope that the Bark of Peter has clear sailing ahead. Those who continue to pursue the Consecration of Russia, including Father Gruner, are acting reasonably upon the basis of empirical evidence which looms as large as any iceberg in the sea. As Saint Thomas teaches, contra factum non argumentum est — against a fact there is no argument. And the facts are that in the 17 years which have elapsed since the alleged "consecration" of 1984 there has not only been no conversion of Russia, but a continued dramatic decline in her spiritual, moral and material condition. It is the height of absurdity to contend that we must "obey" the suggestion that a nation which aborts 3.5 million children each year, whose population is dwindling at an alarming rate, and whose laws prohibit the Catholic Church from seeking converts, establishing dioceses, or even having permanent resident priests and bishops (unless they marry Russian women!) is a nation where the Immaculate Heart of Mary is triumphant. This is not only absurd, but blasphemous. And no argument from authority by Vatican bureaucrats, no matter how high their offices, can negate the facts before our very eyes. Finally, it is worth noting that those who profess such indignation over the "disobedience" of Father Gruner tend to show very little, if any, concern about the priests and even bishops who promote or tolerate heresy or commit unspeakable scandal in dioceses throughout the world. This is not even to mention the vast majority of laity who call themselves Catholic but follow only those Catholic teachings with which they happen to agree. The Pope himself has decried this situation in his recent letter to the German Cardinals. The same situation obtains throughout the Catholic world. With the Church in the throes of what can only be called a growing apostasy, why are Father Gruner's detractors spending so much time deriding a Marian priest who has kept the Faith and kept his vows, a priest who does what the Archbishop of Hyderabad rightly describes as "God's work"? If Father Gruner's critics were really concerned about the problem of obedience in the Church today, they would be turning their attention to the many clerics who really are disobedient, and who at this very moment are inflicting innumerable wounds upon the Mystical Body. As it is, their obsession with Father Gruner bespeaks a different agenda — one that has nothing to do with the common good of the Church and the salvation of souls. The Church needs living Popes, however bad. Kill off the Church they won’t, however mad. Since these words are classic Church doctrine (only the underlining has been added), resting as they do on Our Lord’s own words (Mt. 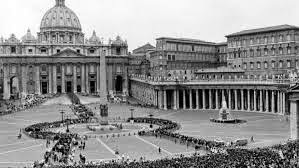 XVI, 16–18), then it is small wonder if, ever since 1962 when the living Popes became Conciliar, millions upon millions of Catholics have been driven to becoming likewise Conciliar and liberal. 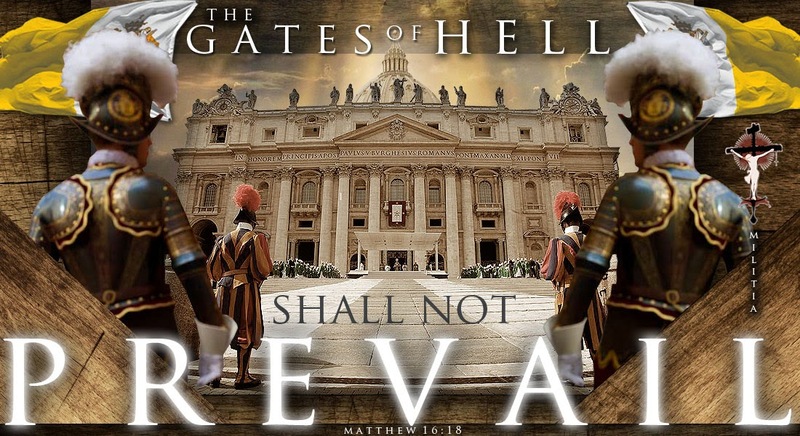 The only way out of the problem that sedevacantists can see is to deny that the Conciliar Popes have been Popes at all, which can seem to be common sense, but to most Catholics it seems even more to be common sense that the Church designed by God to rest upon the living Pope cannot have existed for the last half century (1962–2014) without one. It is easy to see how the decline of Christian civilisation since the height of the Middle Ages has led to the present corruption of the living Popes. It is easy to see how God can have permitted this appalling corruption to punish that appalling decline. What is less easy to see is how the Church can still live when the living Popes on whom it is founded are convinced that liberalism, war on God, is Catholic. In Our Lord’s own words, A good tree cannot bring forth evil fruit and an evil tree cannot bring forth good fruit (Mt. VII, 18). 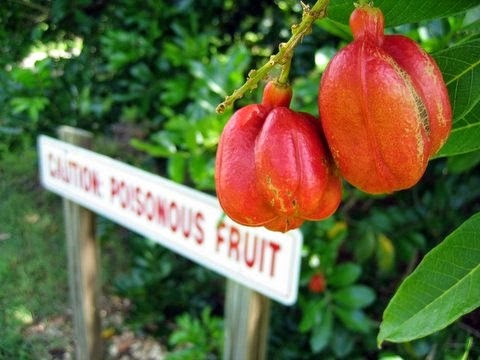 But a tree half good, half bad, can produce fruits half good, half bad. Now taken as a whole, a mixture of good and bad is bad, but that does not mean that taken part by part, the mixture’s good parts are as bad as its bad parts. Cancer in the liver will kill me, but that does not mean that I have cancer in the lungs. Now no living churchman, any more than any man alive, is entirely good or entirely bad. We are all a fluctuating mixture until the day we die. So can there ever have been a living Pope whose fruits were entirely evil? The answer can only be, no. In which case the Catholic Church can have half-lived for the last 50 years on the half-good fruits of the Conciliar Popes, with a half-life permitted by God to purify his Church, but which he would never permit to go so far as to kill his Church. Thus for example Paul VI wept for the lack of vocations. Benedict XVI hankered after Tradition. Even Pope Francis surely means to bring men to God when he drags God down to men. So, Conciliar Popes are dreadfully mistaken in their ideas, fatall y ambiguous in the Faith where they need to be absolutely unambiguous. The Church has been and is dying beneath them, but whatever parts in them have still been good have enabled the Church to continue, and they have been needed as living heads to continue the body of the living Church, as Pius XII said. 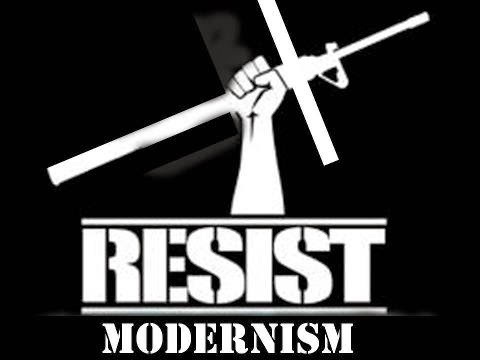 Then let us not fear that they will be allowed to kill off the Church, but let us for our part fight their liberalism tooth and nail and pray for their return to Catholic sanity, because we do need them for the life of our Church. Brothers and Sisters I write to you in the Selfless Love and peace of the Union and Marriage of Jesus Christ and of His Heart and all the blessings that flow forth from it. “And when the young man had heard this word, he went away sad: for he had great possessions. 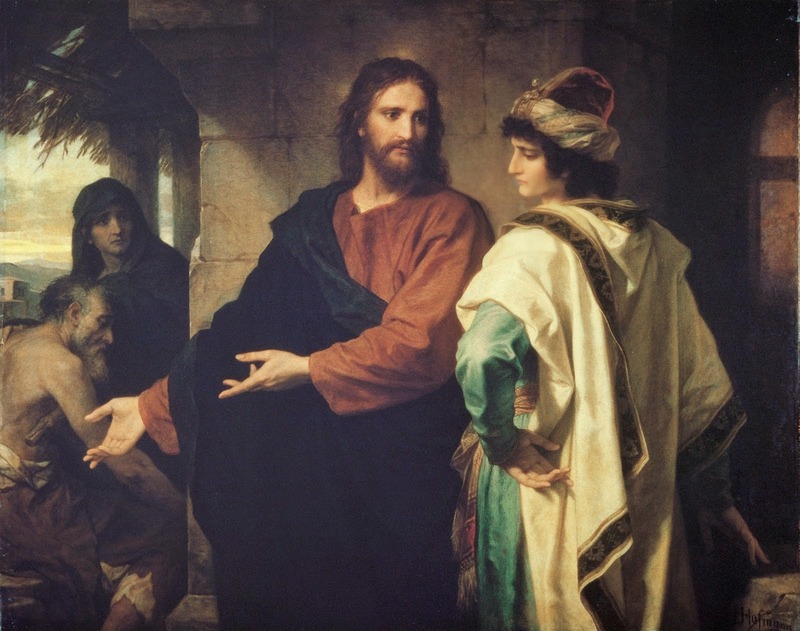 Then Jesus said to his disciples: Amen, I say to you, that a rich man shall hardly enter into the kingdom of heaven.” Matthew 19: 22-23 Nay, Our Lord spoke of the rich man who gathered many possessions which hadst a hold of his heart. Ultimately, that kept him away from the life of perfection which is every Christian's goal in this life. Therefore, I sit to reflect on this western society to see the masses running into different secular establishments who greed after this material item or the next. I sit and think of the sorrow of Our Lady and Lord. I sit and reflect upon seeing how these same hearts do not enter the House of God with same veracity! How different the world would be if we pursued His heart and Divine Law thy same way souls run into the Walmart to claim the newest IPAD like Erik the Viking in their material conquest. On the outset it seems “normal” in this society but how perverse and corrupt are we when the perverse and corrupt art the norm. 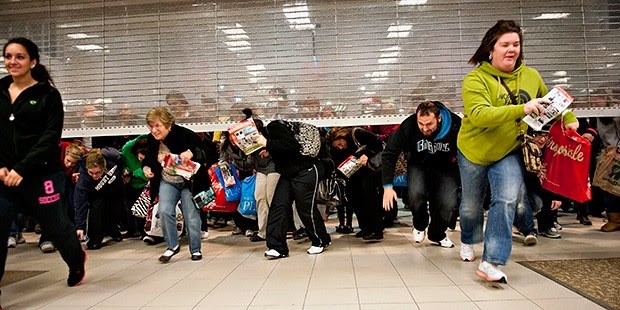 If anyone does not think we are headed toward atheistic communism please view the sample videos online from “black Friday”; it will have you to wonder if this is the same human race we claimeth to be apart of. Materialism is madness; it is an obscuration of the heart and intellect imbedded by the dark of self. “For all that is in the world, is the concupiscence of the flesh, and the concupiscence of the eyes, and the pride of life, which is not of the Father, but is of the world.” 1 John 2:16 Materialism which hast soaked western society and many other regions hast a philosophy rooted in the human person and nature and not thee Divine; not in the Sacred Heart of Christ. It is a society which bases "things uponst things" rather than on those principles which governs things. Materialism is rooted in self, in egoism and individualism and it is not Catholic but rather a disorder or lust of the heart. A perverse twisting of the would be and potential worship of His Creator which hast "eyes" only for the law of man and the law of jungle. Wherein man beats his chest and states, "Who has more is more"... but is this really? "And he said to them: Take nothing for your journey; neither staff, nor scrip, nor bread, nor money; neither have two coats.” Luke 9:3 If thy heart desireth two coats this is one coat too many; if thy heart desireth anything more than that which art needed for thy journey, like the heavy nap sack for the pilgrim, than these “things” wilst burden or weareth down thy heart. Further, we have a Conciliar Church that teacheth all rights belong to human at the human level (new humanism) due to a new distorted understanding of human dignity. Thence what does a man expect other than the slippery slope into such outcomes? Impotent humanitarianism is Masonic not catholic. “And he said to them: Take heed and beware of all covetousness; for a man's life doth not consist in the abundance of things which he possesseth.” Luke 12:15 Where a woman would tend to the surface with the onslaught of “makeup” covering her face she often lacks in the makeup of her own heart and soul. For that which she often covers on thy surface is what she ought be “freeing” within her own heart and soul. Due to human nature man art inclined to novelty, this restlessness of heart seeking to cover thy defect on the surface first starts within. Man art inclined to evil and immodest fashion to show off the “self” rather than in modesty "showing off" ones' virtue which is a proof of intimacy with our Lady and Christ. How a man or woman dresseth indeed is indicative of "what is the reality within".... concerning how close or how far off a soul is from our Lord's own Heart. 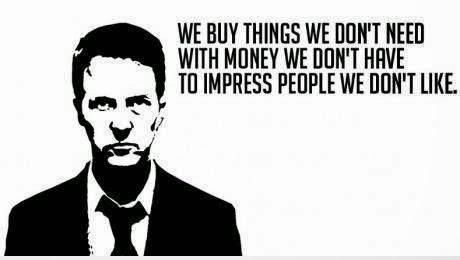 Materialism, fashioned by greed, promotes division and discord based uponst a pseudo system of man on thy natural level which the enemy pushes so violently throughst the media and entertainment outlets in our western “culture”. Materialism keeps a man focused on the surface with the carnal eye rather than the soul focusing in on the interior life seen by thy “inner eye”. Only grace can break this vicious cycle of self and nature's preoccupation with distractions and novelties. Rather than seeking virtue we have lust for vehicles, rather than holding the Ten commandments we would rather holdeth technology; as man drifts further and further awayst from His Heart, lust and greed more readily taketh over. 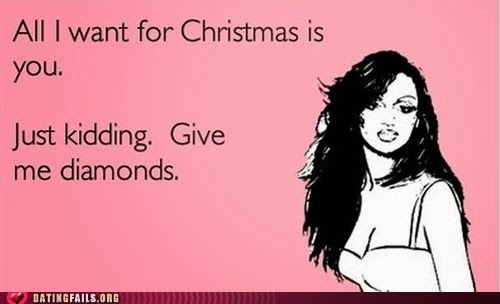 Men want to fit into society saints want to fit into Heaven know thence the difference. “Lay not up to yourselves treasures on earth: where the rust, and moth consume, and where thieves break through and steal. But lay up to yourselves treasures in heaven: where neither the rust nor moth doth consume, and where thieves do not break through, nor steal. For where thy treasure is, there is thy heart also.” Matthew 6:19-21 Verily, it is often that we give things to others because we did not first give ourselves. Rather than giving a soul the greatest gift a soul could receive in offering the Catholic Faith we would rather give something only harmful and distracting to that soul. For although it is a great act of the heart to give gifts at Christmas what better gift can ye giveth than to give another the Faith? All ye laity, ye art meant and called to witness as well! Yea, the more a man thinks "he is" in by what he posseses; in spiritual reality the least he has truly within(lack of grace). Materialism tends to vanities associated with pride; it pushes "looks" based upon “self” not “acts” or “works” based upon His Sacred Heart and the ever unchanging Divine Law. It has destroyed souls, families, communities and even nations including our own. It has destroyed families who were not rooted in solid ground, that is, the Catholic Faith. How many souls in the West and all over "opportunistically" come together on the basis of social status or for a perception of what “marriage” ought be? If a marriage is based solely upon things then unto things it shalst return ultimately; for these two in marriage were never really One at heart to begin with but rather lived and loved those things on the surface that the other hadst at that potential time. Wisdom sayeth, “Without thee eyes the heart can not see and without the heart the eyes can not sense.” Yea, we must render our own hearts poor like Christ and detach from things. For a man in humility who always sees his cup empty art always filled by thee Divine Waters. “Be not solicitous therefore, saying, What shall we eat: or what shall we drink, or wherewith shall we be clothed? For after all these things do the heathens seek. For your Father knoweth that you have need of all these things. Seek ye therefore first the kingdom of God, and his justice, and all these things shall be added unto you. Be not therefore solicitous for tomorrow; for the morrow will be solicitous for itself. 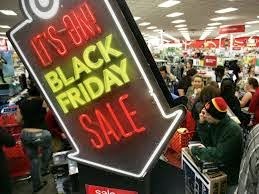 Sufficient for the day is the evil thereof.” Matthew 6:31-34 Yea, strong words from Our Lord and how many heathens will run out like Vikings this weekend to partake in thy devil's consumerism? Ordereth first thy heart unto His thence all these things shalst be added unto thee in accordance to His Will and not thy bank account. Was it not Our Lady and Joseph who hadst very little in possession yet who were entrusted by the Father to "house" God Himself? They journeyed with Christ in poverty yet were in the Presence of Richness Himself. The Heart of Christ compels man onward more upward and inward through this interior Fortress of the Soul acquiring virtue and grace. Let us not live horizontally, that is, living on the surface alone for such it is with modern man and his shallowness. Ultimately, such a man will find he is a fish out of God's Waters. 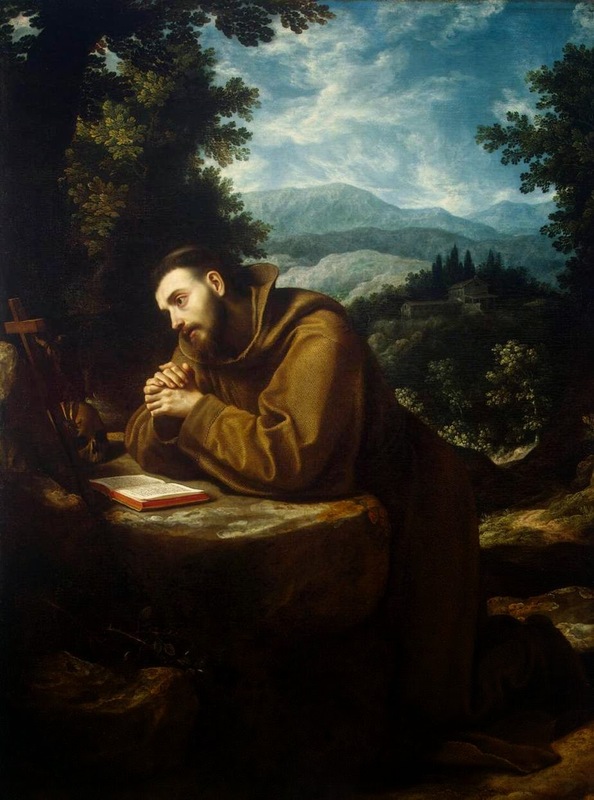 For that which the carnal seeks is corrupt, ever failing and tends to the culture of death wherest His Heart gives forth the fruit of Life, true Selfless Love, true peace of mind, soul and body. Yea, materialism art a cruel penalty to the soul for having left His Heart; a cruel imprisonment of any person or society as a result of a disordered and perverted heart and mind. For nature lives for the moment wilst grace rises above each moment to liveth safely in the refuge of His Heart. “But godliness with contentment is great gain. For we brought nothing into this world: and certainly we can carry nothing out.” 1 Timothy 6: 6-7 Nature tends to that which is new and novel for what is innovative rather than what is antique. Rather than living by "discipline of heart" it is much easier in nature "to do as one wills" and by compulsion act uponst emotions. 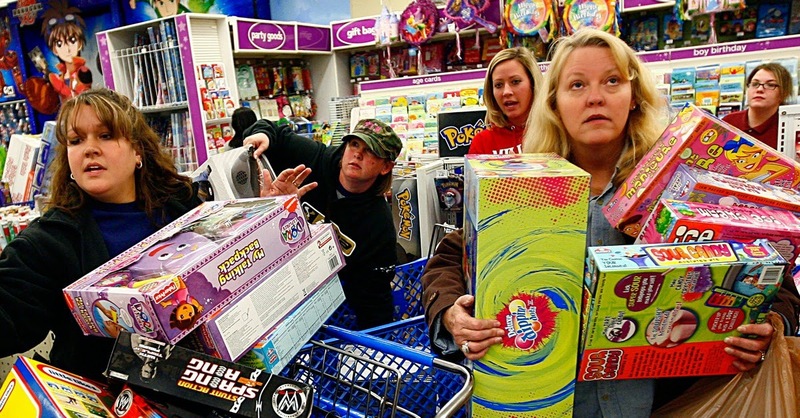 Materialism is proof of degradation of the human heart and soul; it is a clear barometer of the air America currently breathes. Such souls compelled by things have hearts with no room for Christ in the house of their soul. And if the King were invited into these souls they would ask Our Lord to sit on the floor because their house is too cluttered with all these things. Nature pulls these hearts out into the open sea to drown for they have lost sight and focus of thee Lifeguard on thy beach. This disorder of heart tends to what a soul can acquire by sight and not by what one can acquire by faith. These souls want no Sacred Mysteries or dogmas that which art needed to truly free their hearts, but rather, due to pride, seek the ever changing “now”. Indeed, perversity of hearts hast created a nation full of the selfish, haughty, proud, avarice, lax, lukewarm, vain, impatient and curious who would giveth up there very own families, relationships and faith up for the latest fashions, technologies and trends. “Love not the world, nor the things which are in the world. If any man love the world, the charity of the Father is not in him.” 1 John 2:15 Man hast created this pseudo philosophy wherein the value system placed on things ultimately decides where one's place ought be in that society. Lusting after things devoid's the heart and soul of peace. For only in the heart that hast Christ as King can haveth true peace. It hast voided the soul of virtue, truth and true ordered Selfless Love. It runs contrary to His Heart and the pursuit to do Gods Will. Men, void of grace and ultimately God, rather do their own thing, through self will to satisfy the self. Yet the souls of men cry out and are not truly looking for thy next “thing” they art looking for thy King. Therein each heart lieth every man's own battle. This is the battle between the self and the Sacred heart of Christ for control over the soul which first starts in the heart and intellect. “There was a certain rich man, who was clothed in purple and fine linen; and feasted sumptuously every day.” Luke 16:19 The same greed of heart which seekest to have “self” noticed is the same “self” that seekest more and more "of a fill on things" and why? Because the man who seeks to fill his heart and soul with these things hast created a hole in the bottom thereof.... and so the heart always searches for the next empty “fill". Yea, much like a man who pumps gas into the car with a hole in the gas tank; this car or soul goes nowhere! Thence, materialism, immodesty, impurity often go hand in hand. To the sexual sinner: he looks to fill his senses with pleasure. The same lust of heart of can be found in those souls who simply must have and canst not be “complete” nor feel secure without being surrounded by “things”. If a soul will literally lust after another in body; it is quite often he or she wilst lust after the things that covereth thy body. The potential space that would be Christ's alone is rather cluttered with transient materials that holdeth no eternal value to the heart and soul. We haveth security in Christ who art All Things who created those things ye seekest this is our only focus. St. John of the Cross, "I Give Myself"
Mel Gibson & New Fatima Movie? TradCatKnight Radio: "Maria Divine Mercy"
TradCatKnight Radio, "Rocks Will Cry Out"
None Call It a Conspiracy! TradCatKnight Radio: "Conservatives Fear Schism"
An Eagle's Message: "The UnConquerables..."